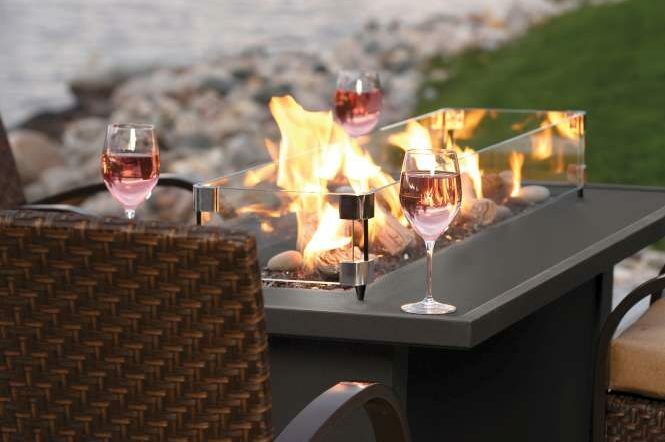 Outdoor gas fire pits and tables are the perfect complement to your backyard, deck, pool, or patio. No matter your exterior design style- modern, trendy, traditional, farmhouse, or contemporary- gather around a warm cozy fire pit with your friends and family! 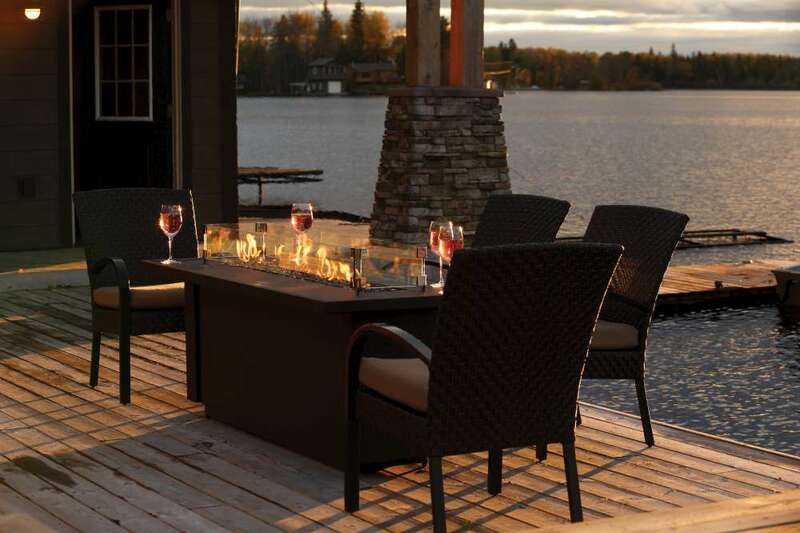 Linger long with Barbara Jean Outdoor Fire collection. Spend more time outdoors around the comfort and beauty of an outdoor fireplace, fire pit or fire table. The Barbara Jean Collection features an array of customizable product to allow you to create an enticing ambiance for your patio or deck. 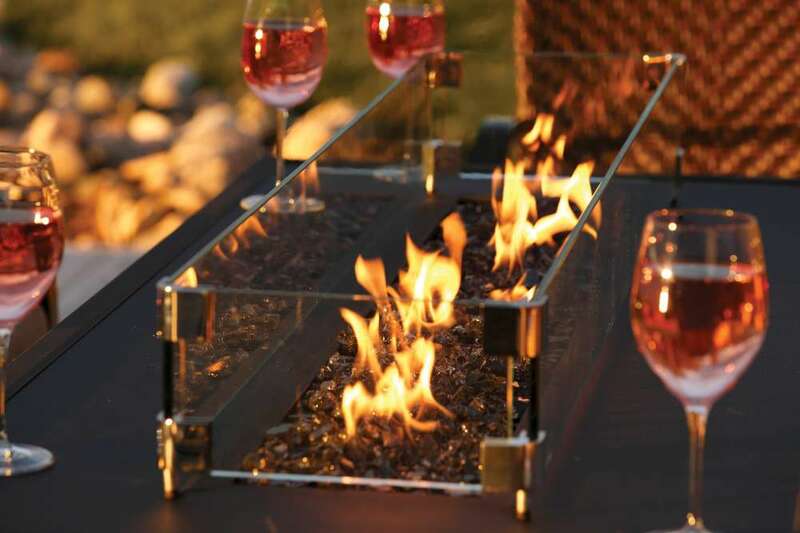 Fire Tables - Imagine family and friends gathered around a mesmerizing ribbon of fire on the Barabara Jean Fire Table. Available in three sizes and two color options, you can create your own designer look with your choice of ember glass, driftwood logs, decorative stone and rocks. 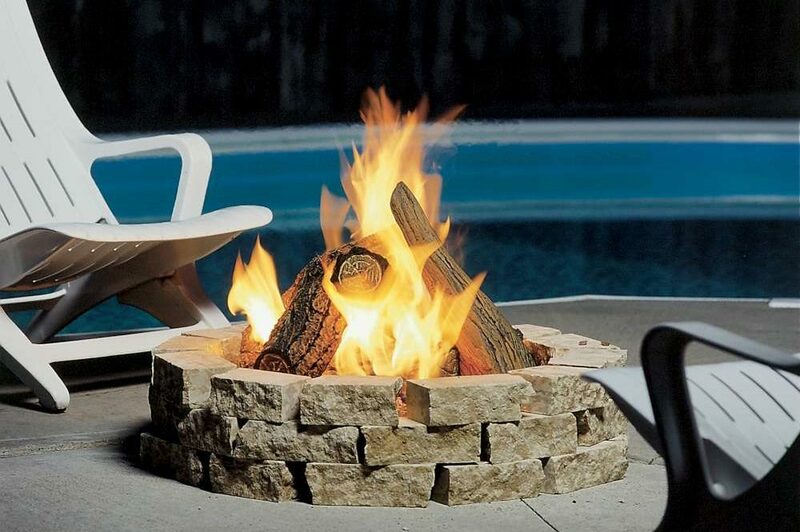 Fire Pit - The Outdoor Fire Pit is the perfect way to enhance the enjoyment of any outdoor space. 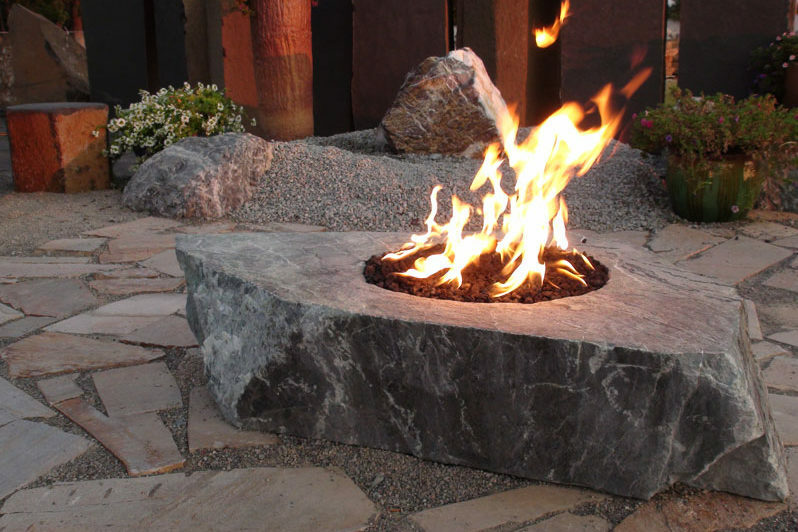 Ideally suited for use on a wood deck or patio, the Outdoor Fire Pit comes complete with lava rock and is fuelled by either natural gas or propane. 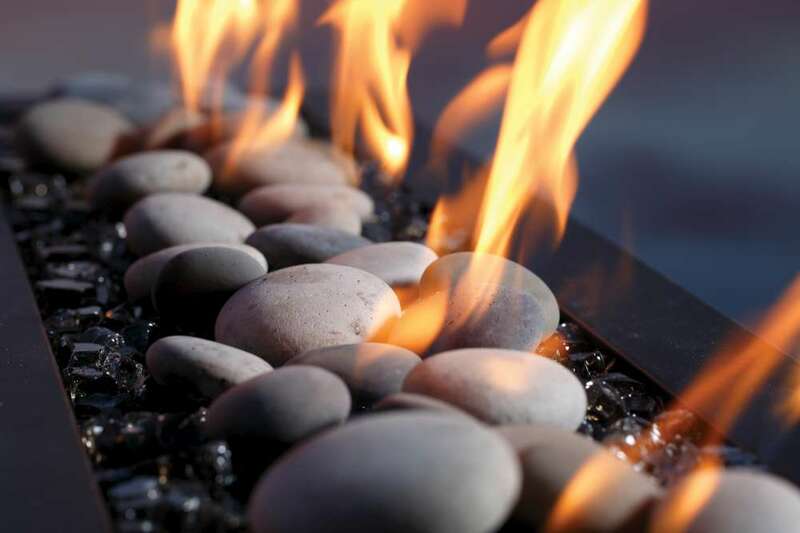 Decorate your Fire Pit with a log set or lava rock. 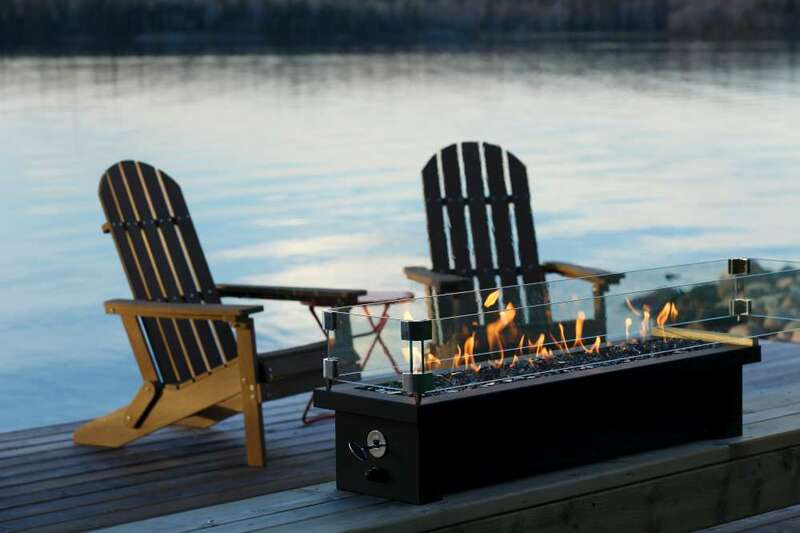 Fire Stands - Completely portable and stand-alone, the Barbara Jean Fire Stand is perfect for any outdoor space, season or occasion. Gather friends and family around a mesmerizing ribbon of fire and enjoy every occasion outdoors. Three sizes and two color options plus a variety of ember glass, driftwood logs, decorative stones and rock options ensure you create the look you want. 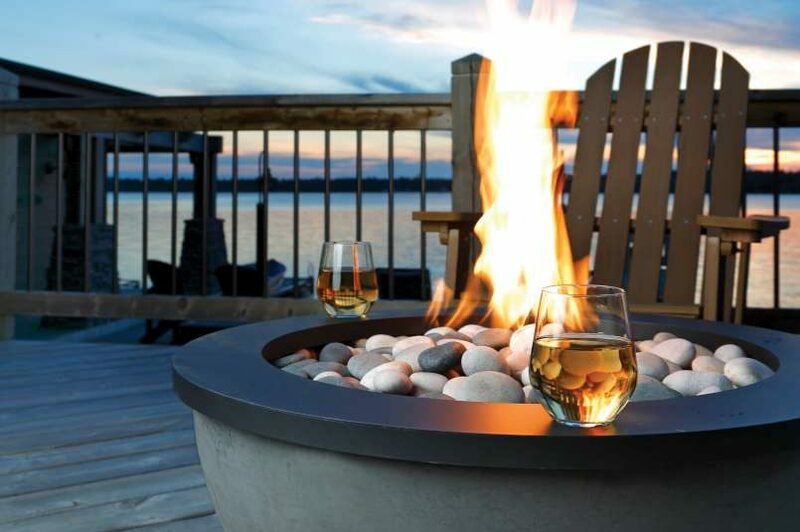 Add to the enjoyment of your outdoor spaces with an outdoor firepit from Kingsman. 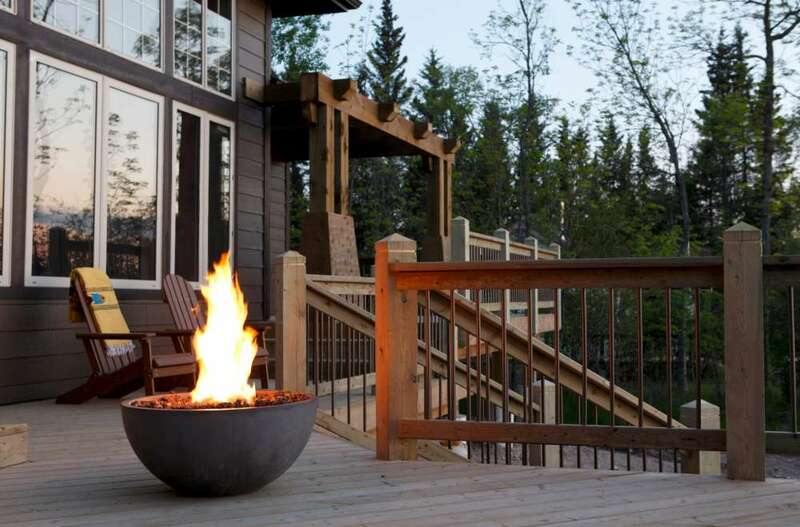 A unique focal point for any deck or patio, our gas firepits create instant ambiance and a natural gathering place for friends and family. Create your own design around your fire pit using non-combustible materials. Outdoor fire pits can be installed on top of wood decks or patios, and are a unique focal point for your backyard oasis. At HPC, they know how to make an evening. 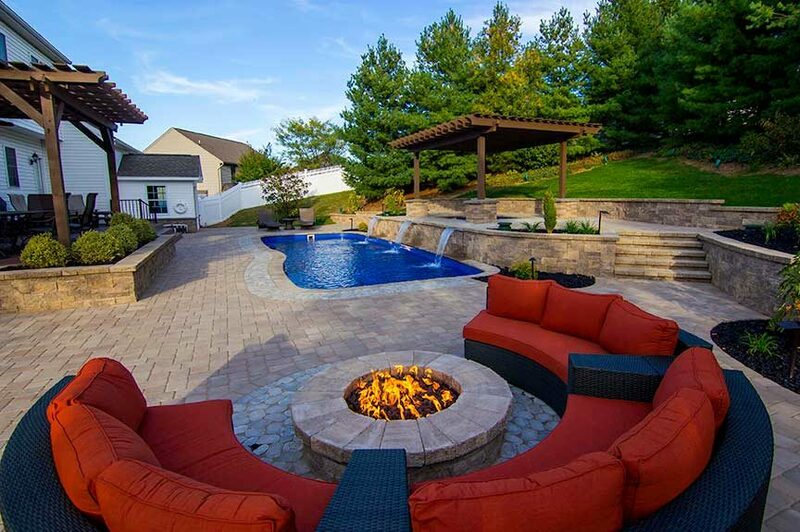 They offer unlimited options to create an unforgettable backyard experience. 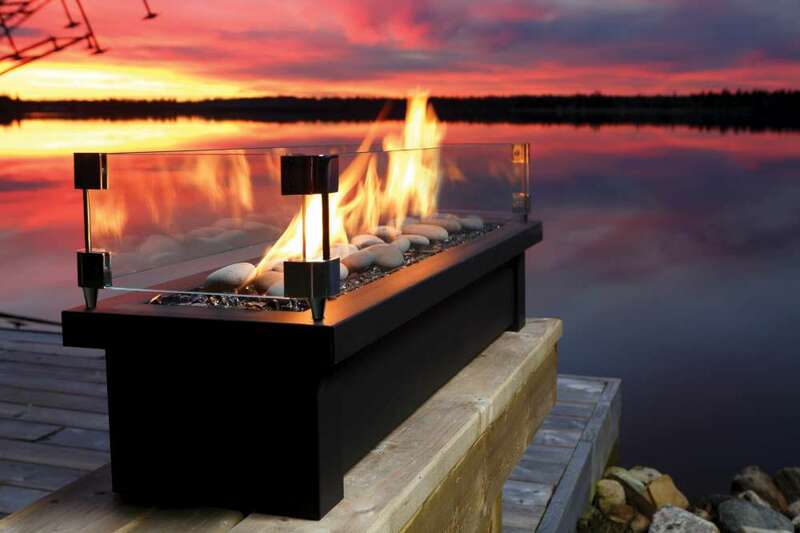 Their commercial grade gas fire pit inserts and enclosures are manufactured to a higher standard, with CSA-certified technology to ensure exceptional performance that's as safe as it is memorable. HPC has become the recognized leader in fire pit and water feature innovation. 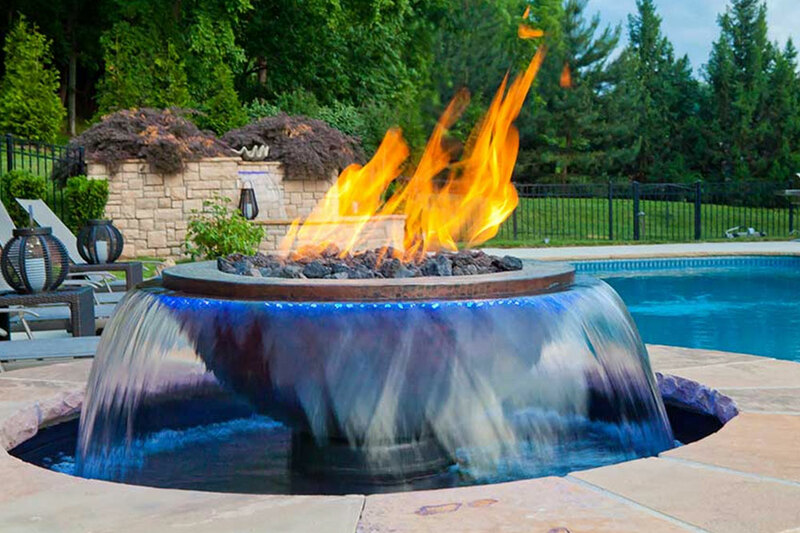 Their outdoor line now includes custom and off-the-shelf, fully assembled fire and water features for commercial and residential applications that are as visually spectacular as they are scientifically sound.